Are you owner or tenant of an industrial building? Then it is definitely worthwhile to focus on energy savings. For example, a better climate control will optimize the comfort of the industrial building. Your energy bill will turn out considerably lower as well. 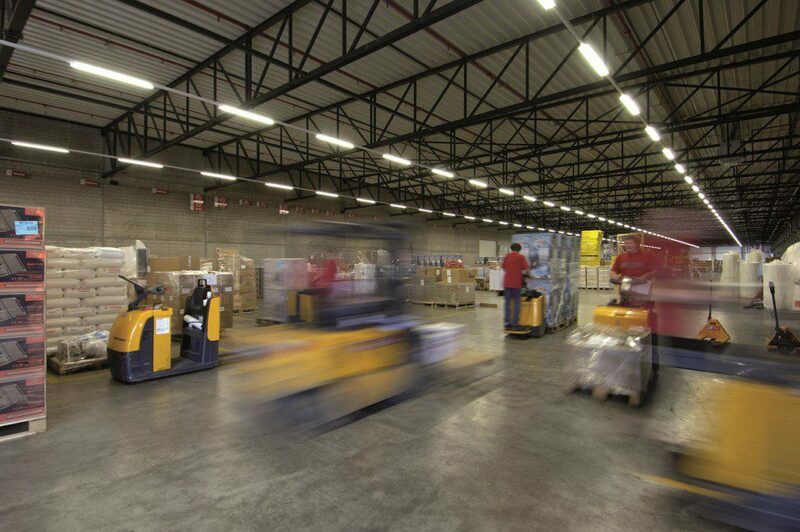 There still is not much attention for energy savings in large industrial spaces. This often has to do with the fact that the owner and the tenant of the building are not the same person. The owner is responsible for the heating system, while the tenant pays the energy bill. However, both parties benefit from energy savings. A smart climate control results in a comfortable building that the owner can rent out better. In turn, a tenant will be pleasantly surprised with the energy bill, and will enjoy the use of a comfortable building. Do you recognize the big energy wasters? No heat recovery from ventilation air or no use of surplus heat. Many of the above problems are easily solved with a good climate system. Of course, the design must be tailored to the way you use the hall. As the owner of the building, it is smart to involve your future plans. Perhaps a smart design will help you attract new target groups and activities. Be sure to take the setting of machines, working hours of staff and the required temperatures into account. Over the years, a lot of new energy efficient technology has been developed that is ideal for climate control in large industrial spaces. A new design results in comfortable and versatile industrial buildings. The more collaboration there is between the owner and tenant, the more new ideas and opportunities for your building arise. You should also make clear agreements on who is responsible for the necessary investment costs or how the costs can be shared. Great advantage of the technological advances is that the investments have a short payback period. And the significantly lower energy bills; they will start coming immediately!